Marketers have to spend equal parts of their time trend-watching and judging behavior via human psychology, with a little bit of storytelling mixed in. Because we have a less-than-perfect understanding of these elements, marketers often fall into the trap of believing superstitions that disguise themselves as facts. Finding out your favorite marketing byword is a myth can be as upsetting as learning there’s no tooth fairy. It requires a shift in perspective, and often a shift in your tactics or policy. 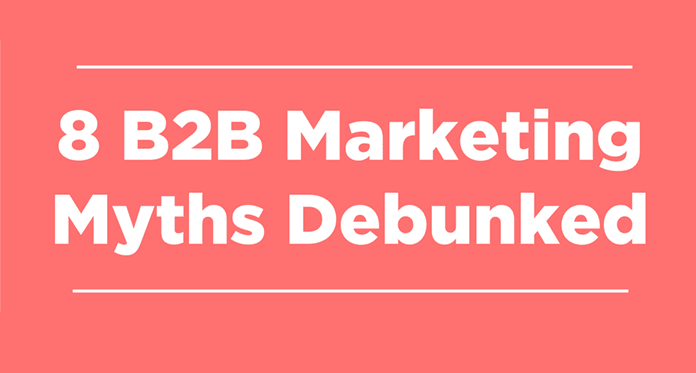 In the infographic below, you see eight of the most common B2B marketing myths/misconceptions and explain why they aren’t true.